Hello from New York! My new Swan dress is one of the many dresses in my suitcase! I was thinking wearing it with my Chloe platforms and white Satchel to the shows today! Me and Yara are staying in the Sofitel Hotel and loving it, our room has a magnificent City view, swooon! Yesterday we spent the entire day shopping in SoHo and afterward sipping cocktails at the many Fashion Night Out Events! Today we will really go to the shows, so exited! I love the girly dress with black chunky heels! Definitely funks it up! Great NYFW outfit. 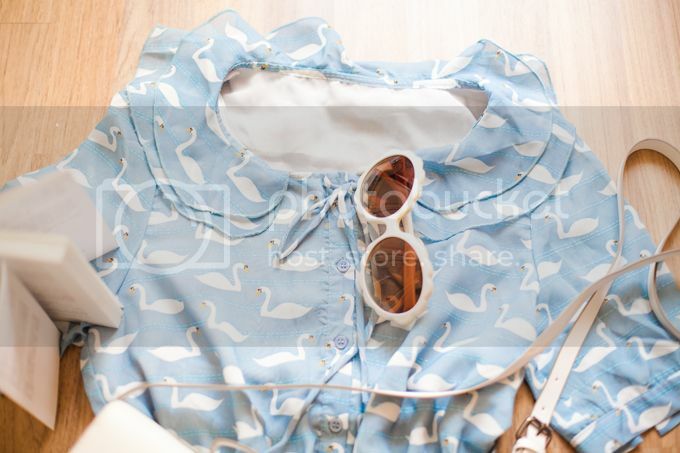 Love the blue colour and swan print. Looking forward to seeing the outfit shots. aww, how beautiful is that dress! ps. enter my brand new giveaway to win a MAC lipstick and 5 models own nail polishes! it’s worldwide too! such a great dress! with those shoes! perfection! wow, that dress! It’s so beautiful! Combined with those shoes and sunnies, stunning! Wat een geweldig jurkje zeg! Heel veel plezier! this dress is so beautiful! I can’t wait for you to wear it! That dress is so adorable. 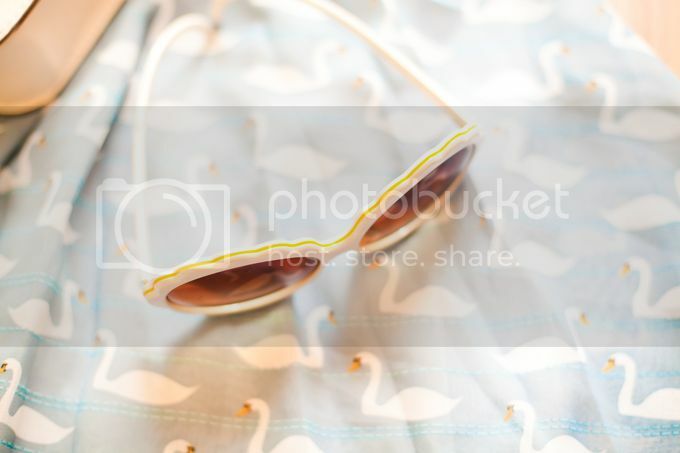 Love the sweet blue colour and those sunnies are lovely. Wow!! All things are looking very beautiful and i really liked all these items and products.So you people share more info about this products. omg… what an amazing dress!